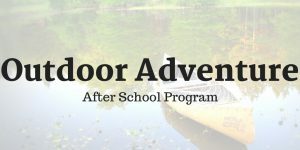 The Outdoor Adventure program is offered to youth in Grades 6 to 8. Youth learn valuable outdoor skills that deepen their connection with nature, increases their comfort in “wild” settings and tests their physical and mental abilities. Activities that youth participate in include basic outdoor survival skills, environmental stewardship, community outreach, wild food foraging, canoeing and water safety, rock climbing, archery, leadership and team building. Boys and Girls Club programs offer after school pick up, post-program shuttle, and a healthy snack along with fun and educational programming. 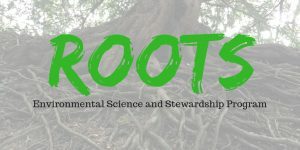 Roots is an environmental leadership program offered to aspiring environmentalists in grades 4 & 5. This diverse program provides participants the opportunity to dive into the world of environmental science, biology, ecology, sustainability and all around fun in the outdoors! Participants will learn and apply the scientific method while examining our local ecosystem and exploring the wonderful world around us. $150/year + $25 membership fee + special costs + $10 transportation fee for participants shuttling to 345 Wale Rd. 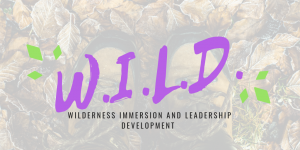 Wilderness Immersion and Leadership Development (W.I.L.D.) is a program for youth in grades 9 – 12 who are interested in challenging themselves to become leaders in their communities and leaders in the natural environment. W.I.L.D. facilitators support youth through various stages of outdoor leadership, professional, and life skill development. W.I.L.D. participants will have the opportunity to complete certifications in Standard First Aid and CPR, Flat Water Canoe and the Duke of Edinburgh Bronze Award. They will also engage in activities and workshops in areas such as rock climbing, camping, navigation, backcountry trip planning, resume writing, cooking, community engagement, event planning, team building, canoeing, local ecology, hiking and backcountry travel. Boys and Girls Club programs offer after school pick up and a healthy snack along with fun and educational programming. W.I.L.D. runs on Thursdays with after school pickup at Belmont and Royal Bay Secondary Schools. Select non-instructional days will be utilized for program time for events such as camping trips and certification courses. Sometimes being a young, female identifying person is tough. The t(w)eenage years are a time of uncertainty, big questions and self-discovery. At the Boys and Girls Club we understand the importance of providing open minded, welcoming and safe spaces for female identifying youth to feel empowered to be themselves. Our programs are led by passionate and dedicated female staff who encourage youth to push their own boundaries, make new friends and learn new skills. 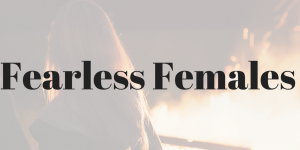 Fearless Females is a program for female-identifying youth ages 13-17. Fearless Females provides youth with a positive, fun and safe place to be on a Friday night. Activities centre on confidence, friendship and community building. Our Fearless Females partake in activities such as cooking, rock climbing, team building and positive socialization at our Wale Road and Metchosin Club. 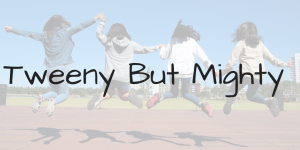 Tweeny but Mighty is a program for female-identifying youth ages 9 – 12. Tweeny but Mighty is a fun, supportive and inclusive space for youth to be on a Friday night. Our program focuses on self – esteem development through friendship, fun and laughter. Participants enjoy activities such as hiking, crafts, cooking, rock climbing and more at our Wale Road and Metchosin Club. This youth-driven, lounge style program offers youth in grades 6-12 the opportunity to engage in a variety of structured and unstructured activities, with the themes: Chill, Cooke, Make, Think, Move. We provide a filling snack and access to homework support. Youth in grades 3-12 are invited to come down the Kaare Norgaard Club in the Central Saanich facility where you’ll find a safe and supportive place to hang out after school. Staff and volunteers run different activities each day. We offer daily programming in our Active After-School and Youth Drop-in programs. Please contact our Youth Outreach Program Supervisor, Claire Ourom for more information on accessing our support. This out-trip based program encourages youth in grades 6-12 to explore their community and experience new opportunities. Snack included. This group is for Indigenous and non-Indigenous female-identifying youth of all ages. Come learn new things about Indigenous cultures from across the country, and have fun at the same time! Activities may include out-trips, art projects, cultural learning, guest speakers, and more. We welcome members of the community to share their skills and knowledge with our group. Dinner is provided. Please contact our Youth Outreach Program Supervisor for more information. A partnered program with Panorama Recreation Centre, Teen Lounge offers youth in grades 6-10 a great place to hang out with your friends and have fun! The evening starts with chill activities at the Kaare Norgaard Club of Central Saanich and ends with a FREE skate or swim at Panorama Recreation Centre. Please note: the Teen Lounge at Kaare Norgaard Club of the Central Saanich facility is a drop-in program; therefore, youth are responsible for making the shuttle in time for pick-up and drop-off. Youth may be picked up by parents at Panorama Recreation if they prefer to not take the shuttle back to Brentwood. Grab your lunch and come chat, learn about local resources, play games, go on mini out-trips, do funky crafts and much more! Facilitated by Kaare Norgaard Club of the Central Saanich facility, and hosted by Bayside Middle School. LGBTQ2+ Inclusive, everyone welcome! Every Thursday at lunch!